Courtney and Jeff of Detroit Design Co.
It’s no surprise that Courtney has impeccable taste and can name any flower and where it’s from. She got her start in the world of floral working at a florist shop in high school and during college. 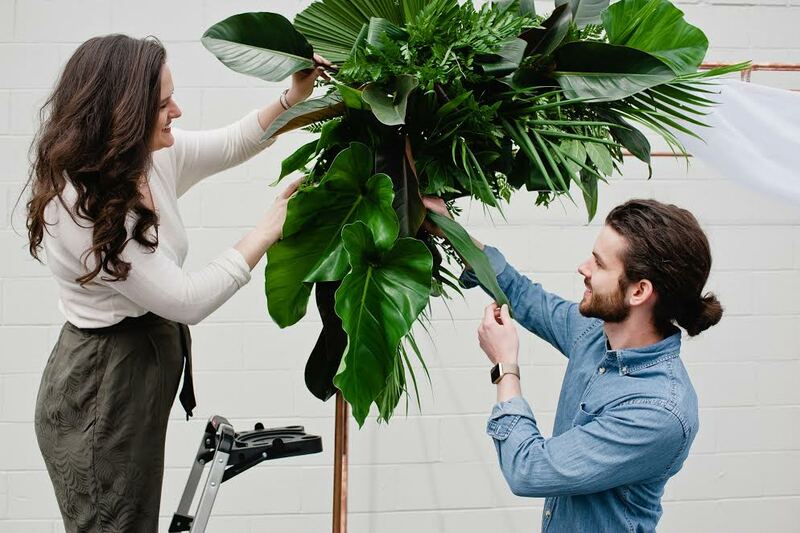 After working at a different local floral and event design company for a couple of years, she took the leap and branched out on her own, and brought on her brother as he also has an impeccable creative eye. Growing up, their parents urged them to exercise their creative muscle and follow what truly inspired them. And now, years later, it certainly shows. From weddings to holiday parties to decorating corporate lobbies downtown to adorning office building’s exteriors year round, there really isn’t an area or industry they have not tapped into. It’s their take on being business-owners, relationship builders and true entrepreneurs that set them apart. They’re fearless and know what it takes. “Offer something that isn’t already out there. Don’t be a copy cat. Be original. Ideally, clients will quickly recognize the difference between us and any other florist,” as Jeff put it. Read on for a Q & A with this dynamic duo. What unique challenges do you face as a millennial entrepreneur? What is one unique thing every entrepreneur must possess? Why is Detroit a good market for your business? What's the biggest challenge you've faced starting or growing your business; how did you overcome that? What would you tell someone just starting their business in Detroit?